Rhetorica I is a contribution to the history of knowledge. In the period to be examined here, conjectural reasoning plays the leading part. In the light of the Aristotelian theory of knowledge, rhetoric is the theory of this type of conjectural reasoning of which the author explores the inner state and potential. he then puts to test its capacity for being different and analyses and justifies it by means of the underlying techne model. After a survey of the theories of knowledge and their socio-political implications in classical antiquity, Aristotle’s Rhetoric is made accessible by contemporary theories of communication. It is evident that the principal parts of rhetoric are elements of a structure reflecting the inter-relationship of orator, topic, and audience. 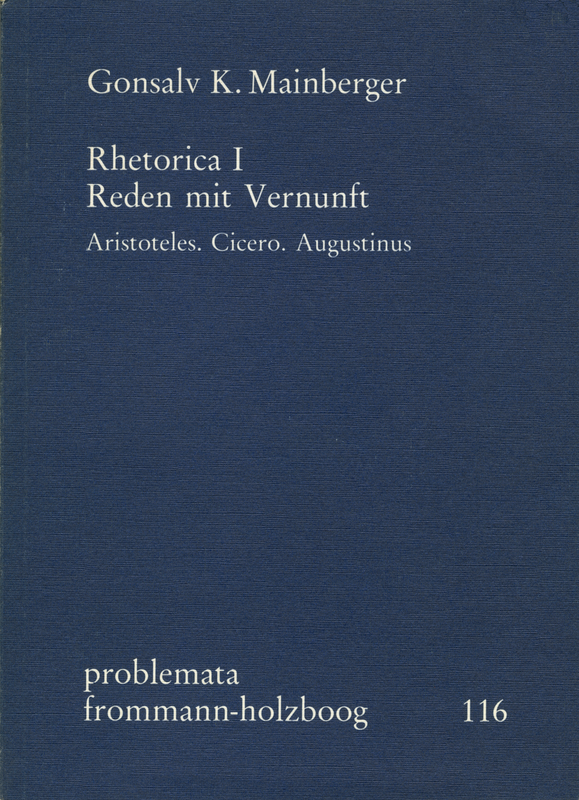 – Along the lines of Cicero’s De oratore, the author then shows how exaggerated expectations placed in the orator turn into scepticism. Cicero’s rhetoric sharpens our awareness that human affairs cannot be finally settled by arbitration – but Cicero’s philosophy makes this unavoidable human condition more tolerable. For once, rhetoric and philosophy are seen to be on good terms. – The interests and emotions traditionally linked with eloquence can be observed in Augustine’s De doctrina christiana: the eloquent preacher, spiritual guide, and warrior lived in an uneasy companionship with rhetoric. The author reveals the causes of this strained relationship.